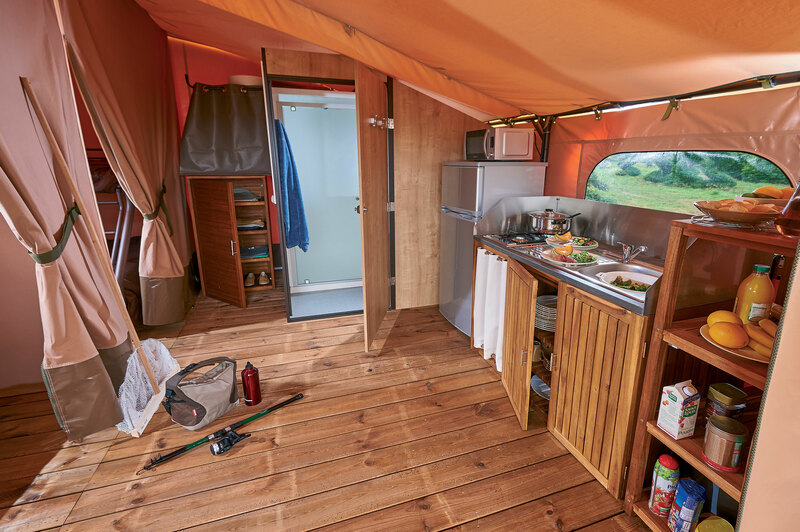 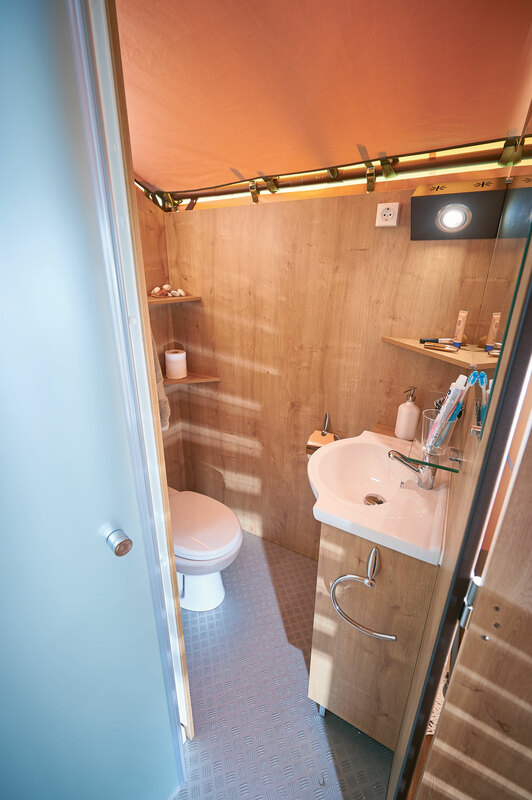 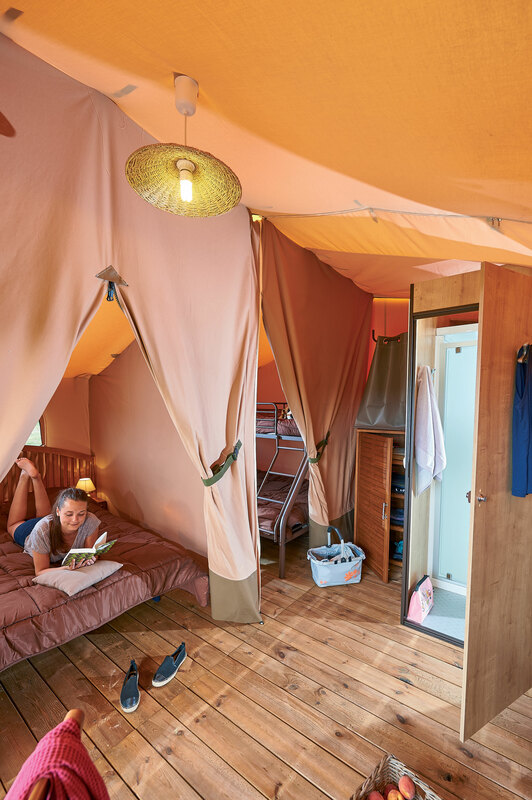 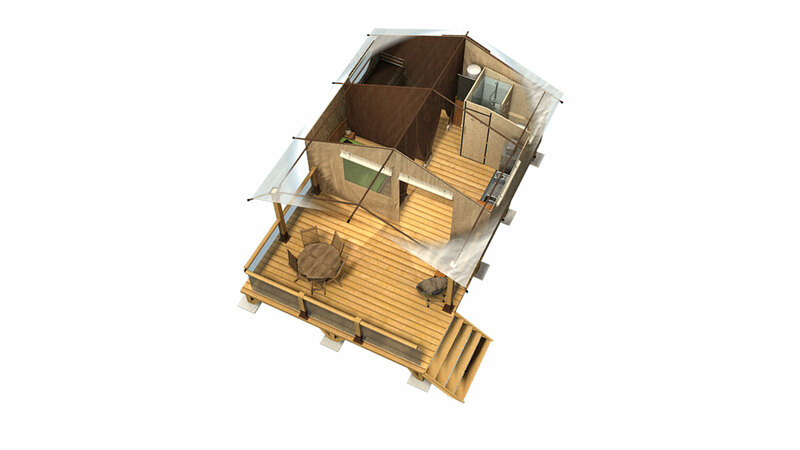 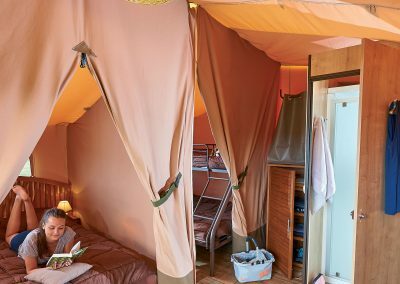 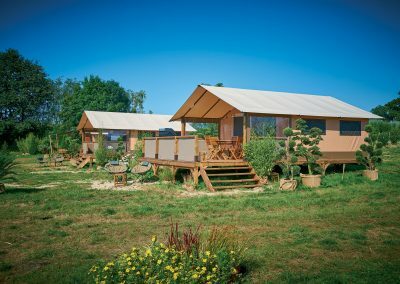 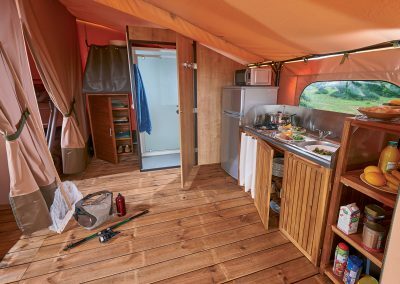 The Victoria 30 with integrated bathroom offers 30m² of space with 2 bedrooms on the left hand side of the lodge, providing enough room for its own bathroom. 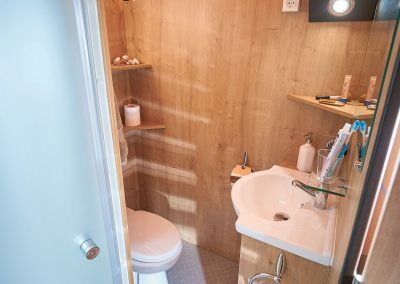 This includes a shower, WC and sink. 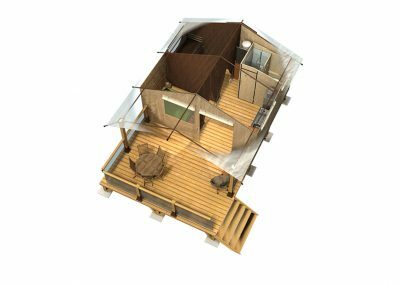 Thanks to this specially designed floor plan, you can maintain a spacious, airy living area and make the most of your wonderful lodge holiday. 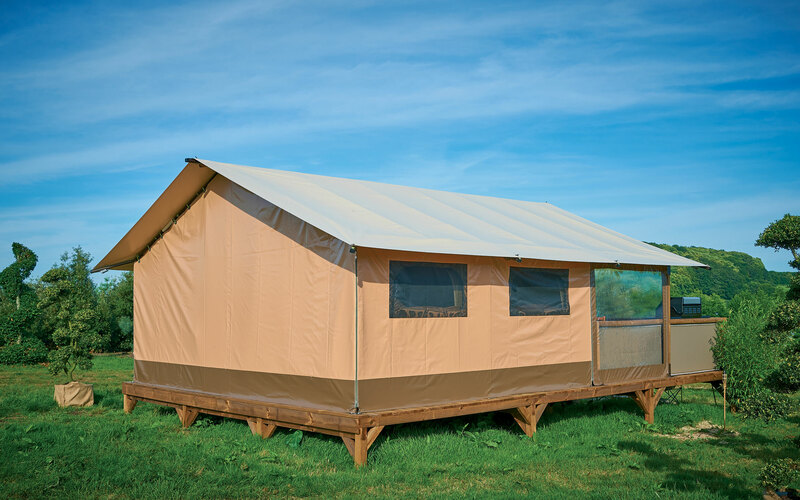 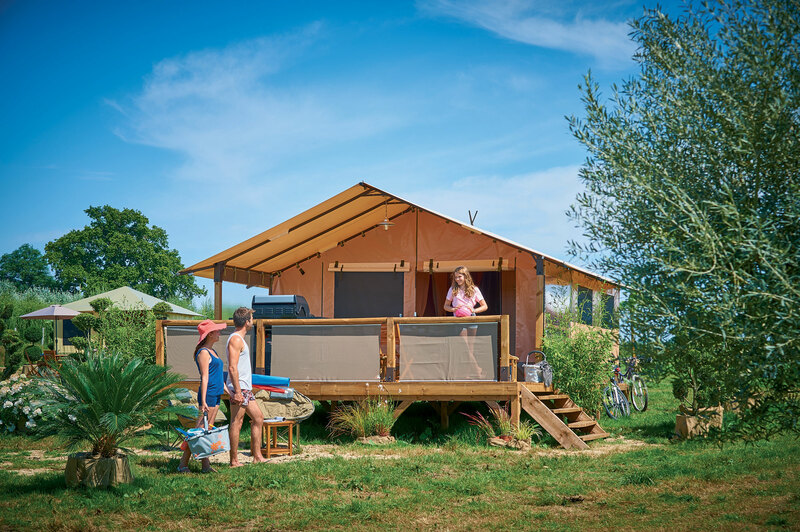 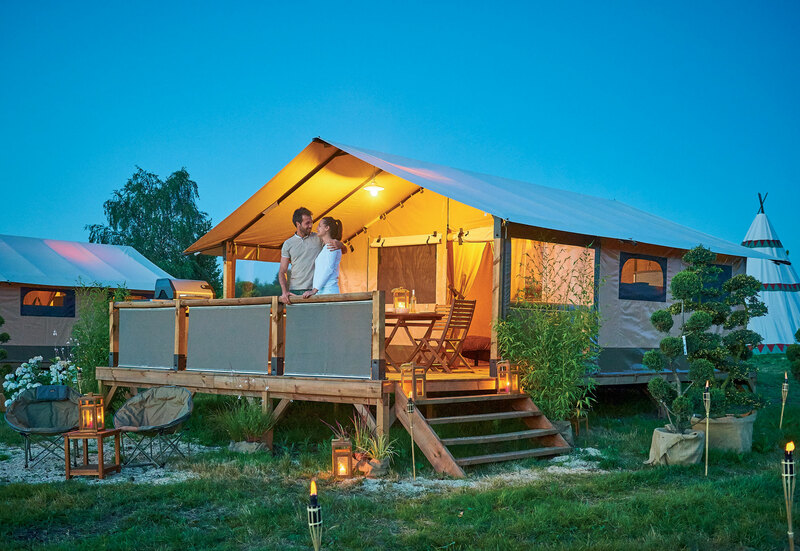 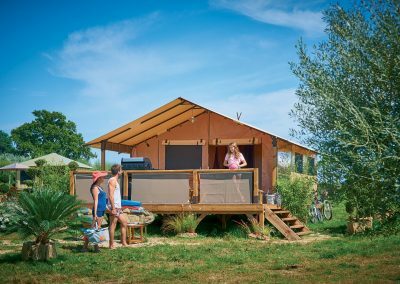 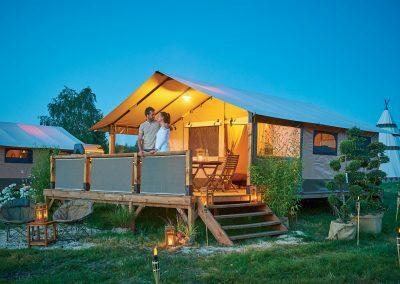 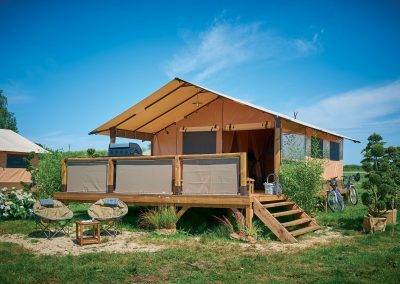 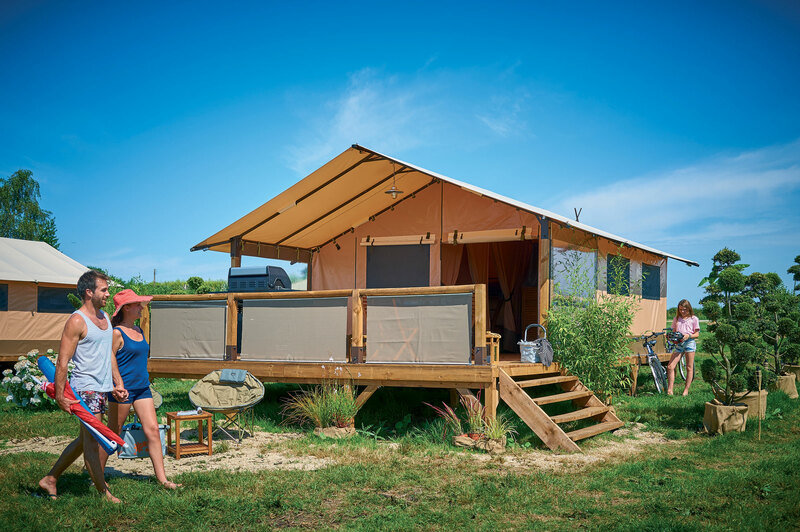 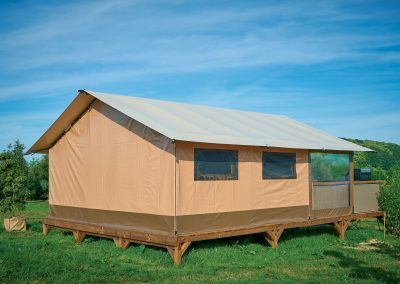 With a 40x2mm zinc-plated steel structure with a rust-effect finish, reinforced with braces and water-repellent bars and finished with a Ferrari PVC canvas secured with stainless steel pawls, the Victoria 30 is a Lodge built with quality in mind. 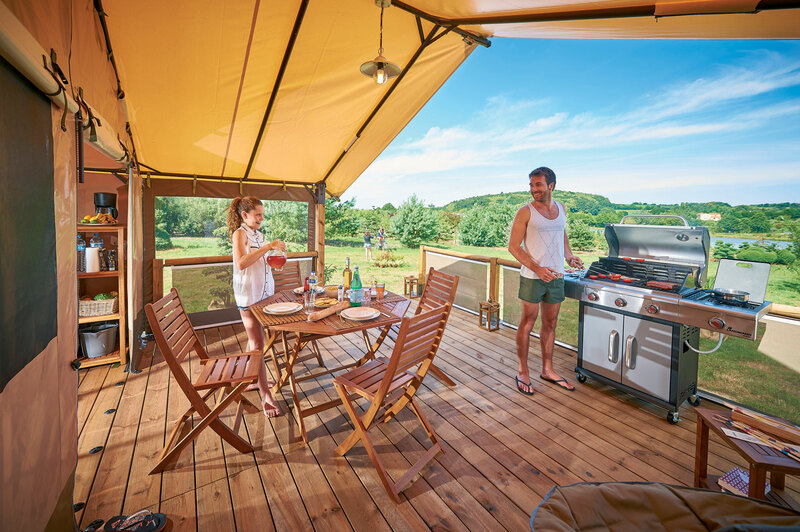 A holiday just isn’t a holiday until you fire up the barbecue. That’s why we’re offering an optional barbecue kit for your lodge, complete with a stainless steel 3-burner gas grill featuring an additional hob at the side. 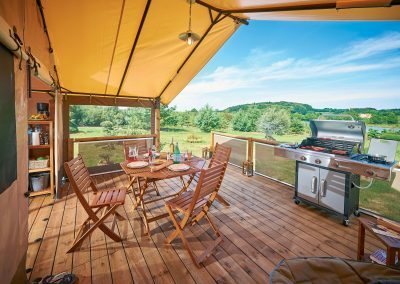 It’s the perfect way to cook a whole barbecue dinner, from the meat, fish and vegetables to all the side dishes you need. 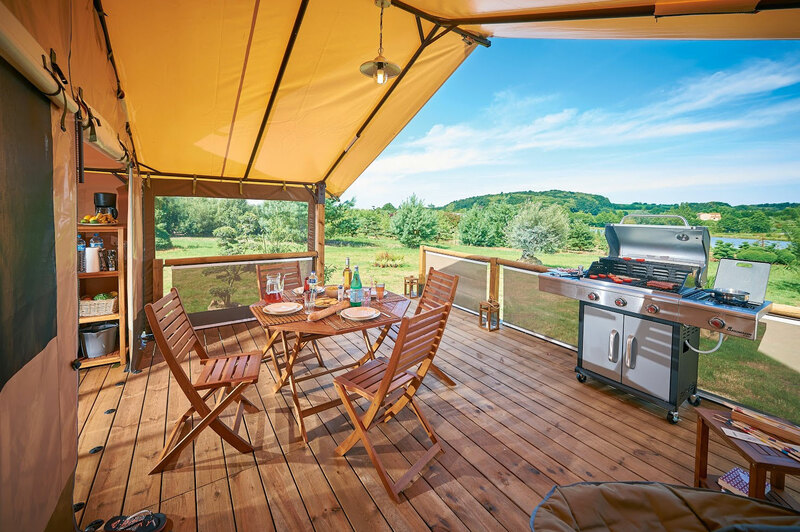 Turn your terrace into the ideal al fresco kitchen!